If you’re inspired by wacky people who live multi- faceted, creative lives, listen in to today’s show, as Karen interviews her guest, Tiffany Price and explores her creative approach, to the world of ‘craft-lebrities’ and acting. Tiffany, who lives in the Los Angeles area, is a comedic actress turned girl boss, having recently started out as a business woman and owner of The Perky Nerd- a Comic Book Shop that sells cold brew coffee and hosts lots of events. Tiffany also pursues her career endeavors as an actress, writer, and producer of web series, like Craft Ladies and recently found herself in the role of new mom, to little Jack. 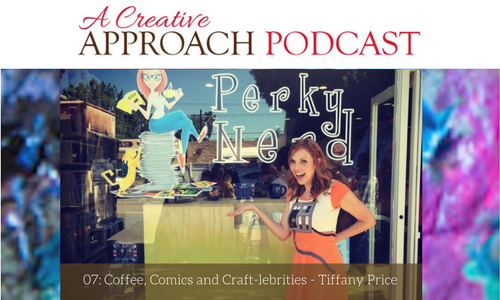 Listen in to the show today, as Tiffany shares her creative approach to acting, business… and being a nerd. How she started out in her career. The ongoing animal theme in her life. How she almost opened a Cat Cafe. Her comic book shop, a place where people feel comfortable being nerdy. What ‘a creative approach’ means to Tiffany. Why she wouldn’t want her son to be a child actor. How she sees herself as a perfect combination of crafts and comedy. Where the concept for her shop came from. Tiffany’s advice to people starting out with a career in the arts. How acting forces you to become open to rejection. The importance of staying mentally strong and grounded in the acting industry. Treating yourself as a business, in the acting world. How her business is a hub of creativity in Tiffany’s life, feeding her soul and attracting the right people. How people’s support really inspires and validates her. Her plans to start an online store and to formulate an outlet for women to create- writing blogs and to generally share their ‘nerdery’. Do people with passion inspire you? And do you enjoy learning from the creative ideas of interesting artists? If this is so for you, listen in to today’s show and find out more about Ken Oliver and what he does. You will also enjoy hearing about the quaint historic, riverside town that he is truly fortunate to call his home. Ken is an artist, marketer and a traveler from the picturesque town of Newburgh, in Indiana. He helps companies to develop craft products, which are then brought to the crafts and arts industry. Join Ken today, as he talks to Karen about his work and travels and also about his town, one of the oldest River Ports in the USA. Newburgh is recognized as an important historical site- the town was settled in 1803, even before Indiana became a state! The products that he currently works with. Colorburst- what it is and the amazing effects you can create, using it. The fun he has, decorating the front of his 19th century building with seasonal décor. The people he meets from all over the world- at his front door! Interesting historical facts about his town. The architecture of Newburgh, much of which predates the civil war. The river cruisers and replicas of 19th century steamboats on the Ohio River. Calliope- the unique music of steamboats. The wonderful places he’s worked and traveled in his career. His Hometown Papers line, inspired by the charm and architecture of Newburgh. The things that inspire him, creatively. 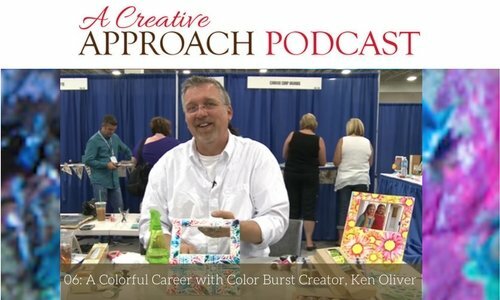 Ken’s advice to push you past limits you may think you have, artistically. What makes his cards unique and different? What you can gain from doodling. 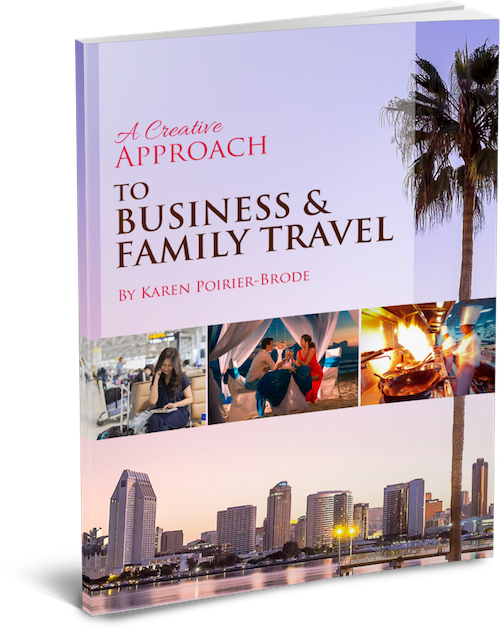 Ken’s creative approach to his business… and cooking.